The explosive proliferation of mobile health (mHealth) continues to generate considerable buzz. Media outlets are quick to cover a flashy new app that promises to empower patients to get healthier or help clinicians to become more effective and efficient. A recent review conducted by the University of Chicago showed that most publicly available mobile health apps are designed for patients. They often target wellness and disease management. These two categories are followed by apps for self-diagnosing, apps for medication management (digital reminders) and electronic patient portal apps. However, most mHealth apps have not been tested in a rigorous manner, so that we can’t be certain that they make good on their promises. The purpose of this article is not to discount the legitimate potential for mHealth technology to transform health care and health outcomes in positive ways, but to illustrate how defective mHealth apps and devices could lead to serious consequences. There are several types of defects that could plague an mHealth app or device. The list is not exhaustive. Many mHealth apps or devices are designed to measure parameters such as blood glucose, blood pressure, physical activity, lung function, oxygen levels, and cardiac rhythms. An invalid app or device measures the parameter inaccurately, either by underestimation, overestimation, or misclassification. Consider an app that connects to a glucose strip reader to transform the smartphone into a glucose meter. If the app displays an invalid glucose reading and recommends an incorrect dose of insulin, then the patient could suffer dangerously low or high glucose levels after the insulin is administered. Some parameters are not simple numbers, but rather categories. An invalid app would misclassify the parameter into the wrong category. Joel A. Wolf and his colleagues from the University of Pittsburgh evaluated the accuracy of smartphone apps that were designed to analyze photographs of skin lesions and estimate the likelihood that the lesions were melanomas. Three out of the four apps misclassified 30 percent or more of true melanomas as benign. Another study with interesting results was also published by Dr. Christophe Wyss, a cardiologist from the Heart Clinic Zurich in Switzerland. His team examined commercial smartphone apps that measure heart rate. They found inconsistencies in their diagnostic accuracy, with non-contact devices showing less accuracy than contact-based apps. The degree to which an invalid app or device would compromise patient safety depends on the direction and magnitude of the error, the underlying health condition being addressed, the context in which the app is used, as well as other factors. An unreliable app or device produces excessive variation when measuring parameters that have not changed. For example, an unreliable glucose measurement app would indicate that the user’s blood glucose has changed significantly when in reality it has remained stable. Note that an app or device can be reliable but invalid. A device that consistently underestimates blood glucose by 30 mg/dL would be reliable but invalid. An app or device that is not based on scientific evidence could deliver assessments or suggest treatments that are useless at best, or harmful at worst. An intermediate scenario is that the mHealth technology does not provide features or components which are known to be beneficial. Suppose that a physician uses an app to determine the best course of treatment for a patient with uncontrolled asthma. If the app fails to recommend evidence-based treatments (such as inhaled steroids), then the patient could suffer needlessly. Some mHealth apps calculate a patient’s risk profile based on patient-specific data. 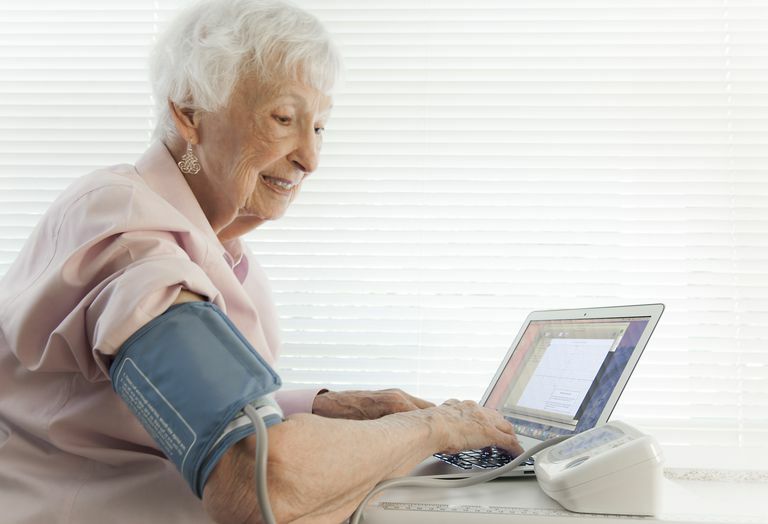 For example, a cardiac risk calculator may use the patient’s age, gender, smoking status, blood pressure, cholesterol levels, and other information to estimate risk for cardiac events. Gross inaccuracies in such an app may tilt clinicians towards harmful or ineffectual treatment pathways. Health care providers are expected to exercise clinical judgment in deciding whether to act on information presented by apps or devices. But a defective app can appear trustworthy. Patients or general consumers (the largest audience for mHealth apps) are even less able to judge the accuracy of an app or device. Experts argue that randomized controlled trials (usually considered the gold standard in research) are required to validate mHealth apps and their underlying principles. In particular, we should look for trials with large samples and long follow-ups. So far, there is not much evidence to support the claims made by many health apps. Therefore, more research is needed to establish if many of these apps can be a valuable tool in health care. It is also important for health professionals to know how to use new apps. A defective app can be removed from the marketplace, as was the case for Pfizer’s Rheumatology Calculator app, which was generating inaccurate scores for evaluating disease activity in patients with rheumatoid arthritis. But removal from online markets only prevents new downloads. What about apps already downloaded onto the user’s smartphone or tablet? If the user is unaware of the danger, then the risk persists. Another important issue is the security of sensitive health information that is stored or accessed by mHealth technology. Patients and clinicians are concerned about potential data breaches. Coppetti T, Brauchlin A, Wyss C, et al. Accuracy of smartphone apps for heart rate measurement. European Journal of Preventive Cardiology 2017;24(12):1287-1293. Cortez N, Cohen I, Kesselheim A. FDA Regulation of Mobile Health Technologies. New England Journal of Medicine 2014;371(4):372-379. Covolo L, Ceretti E, Moneda M, Castaldi S, Gelatti U. Does evidence support the use of mobile phone apps as a driver for promoting healthy lifestyles from a public health perspective? A systematic review of Randomized Control Trials. Patient Education and Counseling 2017;100:2231-2243. Kao C, Liebovitz D. Consumer Mobile Health Apps: Current State, Barriers, and Future Directions. Pm&R 2017; 9(5):S106-S115. Powell A, Landman A, Bates D. In search of a few good apps. Jama 2014;311(18):1851-1852. Wolf JA, Moreau JF, Akilov O, et al. Diagnostic Inaccuracy of Smartphone Applications for Melanoma Detection. JAMA Dermatology 2013;149(4):422–426.